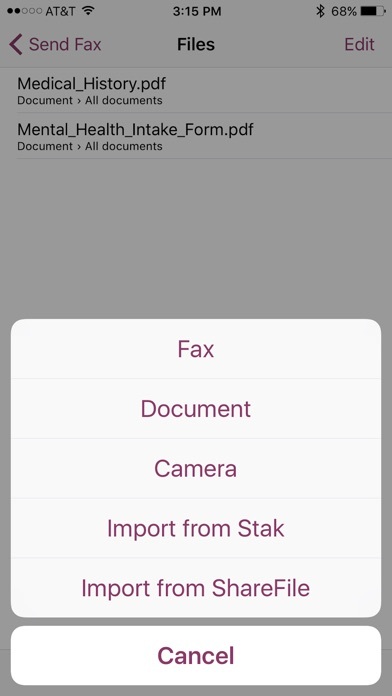 Sfax for iOS enables existing Sfax customers to send and receive HIPAA-secure faxes from anywhere. Compose faxes with image capture or upload from your document management system. 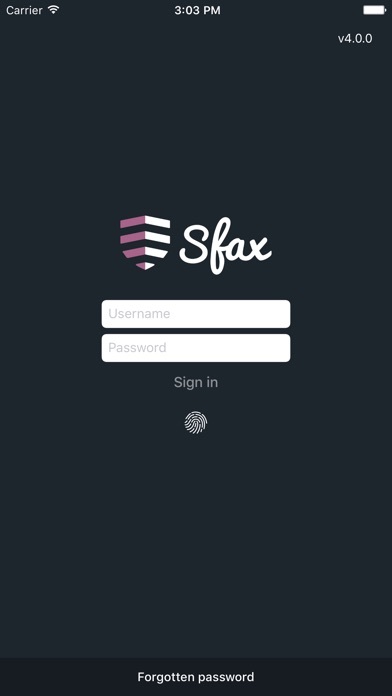 To sign up for an Sfax account, visit www.scrypt.com/sfax/. Features: • Send faxes by capturing images with your camera, replying or forwarding a fax, or accessing files from your document management system —no fax machine needed! 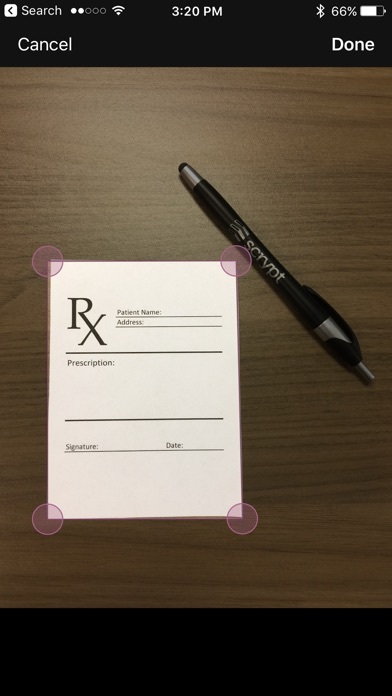 • Audit trail and activity tracking - A complete audit trail is generated for all activity that occurs on each document for full HIPAA compliance. • Faxes are protected by strong encryption within our SSAE16 Type 2 data centers. 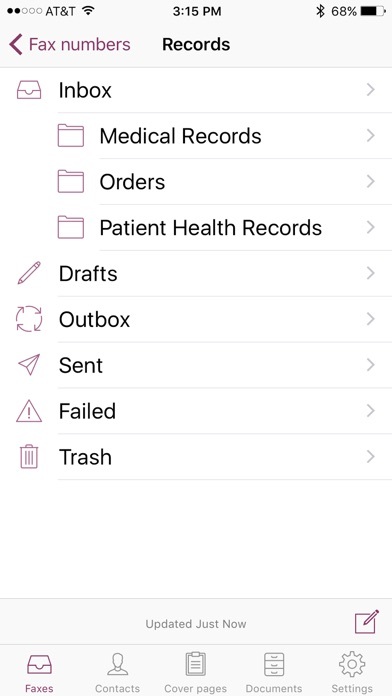 • Touch ID – Allows for quick and secure sign on • Securely manage faxes - our “Move” feature allows you to organize received faxes into custom folders Sfax is the only cloud fax service designed for the rigors of healthcare and other industries that demand business-critical security. Send, receive and manage faxes on the go. 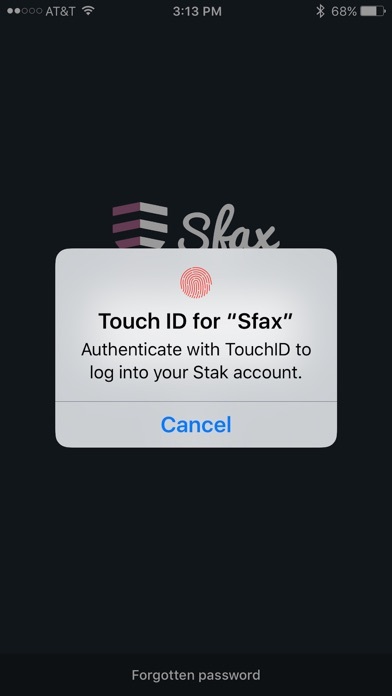 Sfax works on your computer, on the web, through our API, and on mobile devices – so you can start faxing everywhere. Thousands of customers in the US and Canada rely on Sfax every day. Replace expensive and troublesome fax servers and fax machines with a cost-effective and reliable service. There is an Sfax plan to fit your needs; from a single user up to an enterprise level organization. Sfax offers upfront pricing with no hidden charges, instant activation, and HIPAA-secure faxing on all plans. To learn more about our plans and pricing, visit www.scrypt.com/sfax. Crashes every time I try to open a fax. Which was the whole point of my downloading the app. The faxes take. A long time to go through and often end up failing! I love being able to send and receive secure faxes digitally but I am on the run and often need this to work over iOS instead of just on the laptop. Over the past year, for whatever reason trying to open my inbox crashes the ap. There will be a brief update that fixes this, then when another iOS update occurs, it will take another 6 months for sFax to update theirs as well and during that time the inbox will continue to crash the ap. I have reported this in the past. The cycle continues and the delay in repairs is quite lengthy. The web service is worthwhile. The ap is not functional. App fails to open. Used to work on my iPhone 6s. After switching to iPhone Xs, it won’t open. Upgrade the app to work with Face ID!! It’s still has Touch ID and the app crashes if you try to enable it. The app used to work. For the last month or so it crashes every time I try to check or send faxes. Customer service is abysmal-I have yet to find a way to get someone to respond. The web based product is solid-I’ve used it for a decade. I just work they would offer support for the app. I purchased a fax account over five years ago with SFax and they eliminated the reasonably priced service plan I had. Still I wanted to keep my number so I agreed to take on their new costs. They goofed up and gave me a brand new account and I didn’t get my previous number. I had to call and get them to give me my old number and they gave me that and the old number and charged me for both. Twice. The refused to fix their error and refund me for all of the duplicative costs. I ended up being fb scammed hundreds of dollars because of the mistake they acknowledged making. Don’t use this, there are cheaper and more honest companies out there! J2, which bought sfax, has raised the price per month of the cheapest plan from $15/mo to $29/mo, instituted a page limit, overage charges, and changed the numbers to all toll free numbers. When they made all of these changes they also summarily cancelled my account, without notification that this would happen. I had a fax come in that I was unable to access because they cancelled my account--which was always paid on time and was used for legitimate business purposes at a number of pages far below their new monthly limits. For a service advertising to businesses that require privacy and legal compliance this is outrageous behavior on behalf of the company. Look elsewhere for a fax service. I'll never give J2 any of my money again. Original review below: App crashes when I try to open my inbox, even after deleting and reinstalling the app. There have been no updates for a year. sfax appears to have been bought by the same company that buys up so many of the online fax services, which is disappointing. When I first subscribed to sfax I was coming to them from a company that also got bought buy this same company gobbling up fax services and then deteriorating the services. I won't be renewing my subscription. As other reviewers have noted, you can't import documents into the app to fax from your device so the functionality is severely hampered. The app was only good for resending a fax that didn't go through or checking the status of a fax sent from a browser. Honestly, the browser interface is also subpar. The only thing I have liked about sfax is that it's HIPAA compliant.